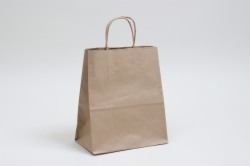 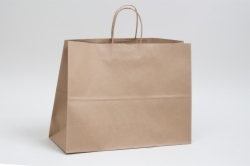 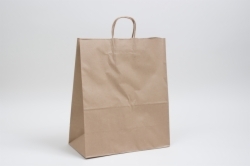 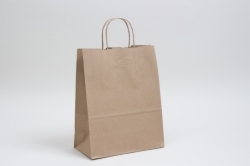 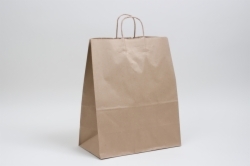 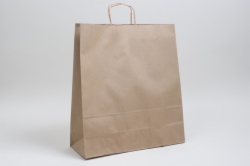 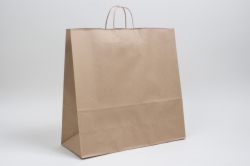 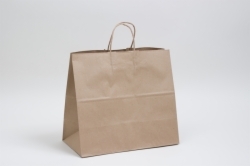 Our natural kraft paper shopping bags are a packaging staple for any retailer, restaurant, event, or enthusiast. 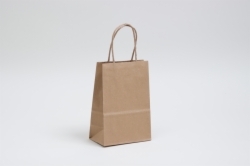 Our eco-friendly kraft paper bags are made with 100% recycled material and are fully recyclable. 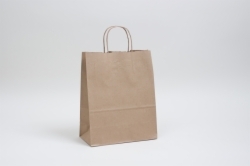 These simple paper bags with twisted paper handles are durable enough for all types of retail and restaurant use. 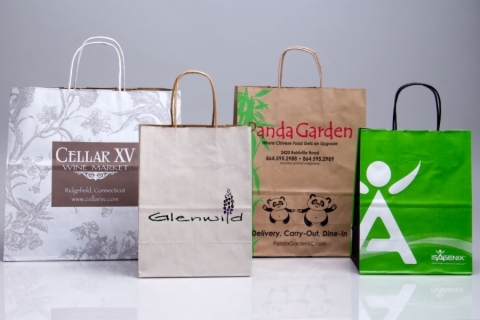 A variety of sizes are available for your every need. 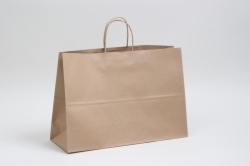 Paper shopping bags are an economical and eco-friendly choice for retailers who care about the environment. 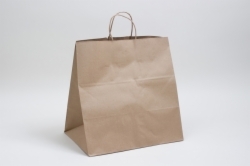 We sell our paper bags at always-affordable prices and our dollar volume discounts provide additional savings for large orders.